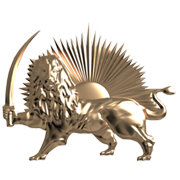 News TV Channel / Simaye Azadi or Iran National Television (INTV) is a satellite television channel broadcasting from Europe, covering issues relating to Iran and the People's Mujahedin of Iran. It is primarily a news channel, but also has documentaries, music, and social and cultural programming. It is close to the National Council of Resistance of Iran (NCRI). Sima Azadi (Iran NTV), is a Free To Air satellite TV, dedicated to the cause of freedom and democracy in Iran. The organization is a not for profit organization. It was founded in summer of 2000 and has been broadcasting a 24 hour program on various satellites that cover Iran and the Middle East, also in Europe and North America. Its viewers are estimated to be tens of millions in Iran and the neighboring countries. All of the staff and the news journalists for Iran NTV are volunteers and work probono. The Iranian government has banned viewing the channel and has set fines for anyone caught viewing it. There is a special police force called "The Satellite Police" in Iran that one of their main task is to crack down on people's homes and properties to confiscate and damage their satellite dishes and receivers.